Ingredients: Rosehip *, Apple *, Hibiscus *, Natural Flavor, Citrus (Orange) Peels *, Pomegranate *, Mango *, Passion Fruit Flowers *. 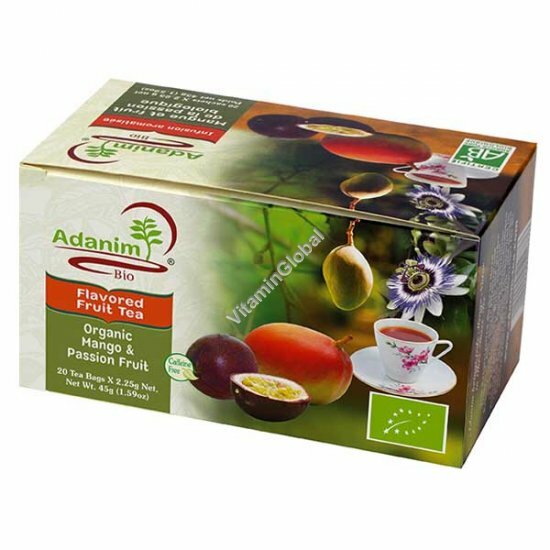 Brewing instructions: Place one tea bag of Adanim Organic Mango & Passion Fruit Tea in a cup and add boiling water. Let steep for 3-5 minutes. Add sweetener if desired.